Traditional Acupuncture is a complete and comprehensive system of holistic healthcare. It has been used in China and other Far Eastern cultures for thousands of years to restore, promote and maintain good health. It regards pain and illness as signs that the whole body has become out of balance, whether through poor diet, injury, emotional upheaval, constitutional issues, or indeed, the stresses and strains of contemporary living. Traditional Acupuncture aims to restore the equilibrium that we can often feel in ourselves has been lost - physically, mentally and emotionally - whilst simultaneously addressing the immediate symptoms which the patient is experiencing. 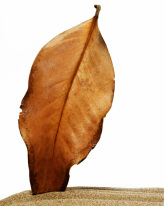 It can therefore be used for a wide range of illnesses and conditions, chronic or acute. Traditional acupuncture is an approach which is based on the understanding that the body is composed of distinct and conjoining energy channels. When the energy within the channels flows freely, all parts of the body work in harmony, as they should. However, when an blockage of energy arises anywhere in the body, this can cause emotional, mental and physical illnesses and pain. 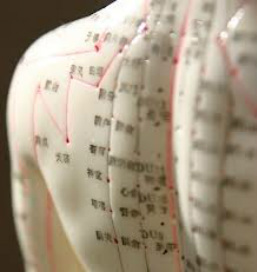 Acupuncture needles are used to access these blocked channels and stimulate the energy flow, restoring the natural balance of the system. Patients can often feel the energy moving and unblocking during a treatment. At the first meeting, Jocelyn will carry out an in-depth consultation which covers the major systems of the body, diet, lifestyle, medical and personal history, which will help Jocelyn to understand the presenting issues and how they developed within the framework of Chinese Medicine. There may also be a physical examination. As a BAcC member, Jocelyn has been trained to use subtle diagnostic techniques, such as feeling the pulses on both wrists and observing various aspects of the tongue. These give a great deal of information about the nature of the imbalances, and changes can be observed with treatment. Pulse and tongue examinations are used at each session to gauge how the patient is responding to treatment. The results of the above investigations are combined to enable Jocelyn to create a comprehensive acupuncture treatment plan which is based on the whole of the individual patient, not just on his/her presenting symptoms. This means that two people with the same western diagnosis are unlikely to receive the same acupuncture diagnosis and treatment as each other, but rather, they will receive a personalised plan for their particular underlying imbalances and presentation of condition. During the ongoing process of treatment and rebalancing, issues other than the patient's main complaint usually begin to resolve themselves too. Acupuncture needles are quite unlike those used for taking blood or giving injections. They have extremely fine shafts, are solid rather than hollow, and are flexible rather than rigid. The tip of of an acupuncture needle has been highly polished to an extremely smooth, sharp point so that needles are usually completely painless on insertion. The needles are disposable and come in pre-packed, single-use, bubble packs and are sterile for complete safety. Very often patients do not realise that the needle insertion has taken place, due to the needle's very smooth point. Once the needle is inserted to the correct depth, the patient may feel a sensation called 'deqi', which is the awareness of the needle making contact with the patient's energy (Qi). Each person feels this slightly differently, and some people are more sensitive to energy sensations than others, but it is often described as a dull ache, a slight tingling, a heaviness or a vague numbness in the area where the needle was placed. Most people feel a sense of deep relaxation and calm while the needles are in place, and some people become so deeply relaxed that they even fall asleep. tuina massage: therapeutic massage to release tightness, move energy and release stagnation in the tissues. There is a difference between traditional acupuncture and western (or medical) acupuncture. Traditional Acupuncture is based on Chinese medicine principles that have been developed, researched and highly refined for over 2,500 years, and it encompasses diagnosis of the whole body. Western or medical acupuncture is a more recent development, practised predominantly by doctors and physiotherapists, who use particular acupuncture techniques ('dry needling') within their existing scope of practice, on the basis of a western medical diagnosis.